Huawei’s Honor line of smartphone has a new entrant, the Honor Holly 4. The device is much of a simple, basic entry-level or mid-range device with decent specifications and price. Let’s have a peek at the major specs of the device. 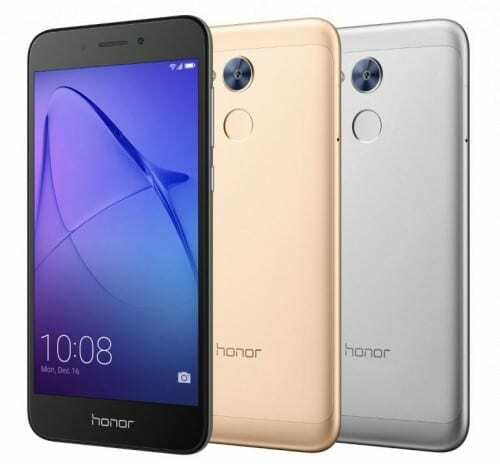 Mind you, the Huawei Honor Holly 4 is an upgrade to last year’s Honor Holly 3 smartphone. If you are a very staunch follower, user or fan of Huawei and any of their devices, one thing you might have noticed over time is that most of Huawei’s latest devices comes with dual rear camera. However, quite oddly, on the Honor Holly 4, a single lens is embedded on the rear. Irrespective, the Holly 4 comes with a finely finished and glossy polished plastic body which also comes in about 3 beautiful colour options; Black, Gold and Grey. The device has a dimension of 143.70 x 70.95 x 8.20mm and weighs 144 grams. Noticeable on the front side of the device are the slightly wide side bezels. The display is sized at 5.0 inch and with a resolution of 720 x 1280 pixels. I think this is decent enough as this is pretty much the standard nowadays. To use this device safely and to enjoy the screen/display to the fullest, you might want to consider [eafl id=”24789″ name=”Jumia NG Screen Protectors” text=”buying an accessory like a Glass screen guard”] because the Honor Holly 4 lack a Corning Gorilla Glass screen protection. The Huawei Honor Holly 4 comes with a 1.1 GHz Octa core processor and a large 3 GB of RAM for smooth and sleek multitasking. The chipset used on the device is a Qualcomm Snapdragon 430 SoC. The built-in in St memory is capped at 32 GB but it can be expanded up to 128GB using a micro SD card memory stick. The device runs on the Android v7.0 Nougat operating system incorporated with Huawei’s native EMUI v5.1. The rear camera is a single camera which is quite unusual from Huawei as I have mentioned earlier. The camera is a 13 megapixels lens which sits right above the fingerprint scanner while the front shooter is a 5 megapixels lens. The Huawei Honor Holly 4 supports 2 Micro SIM cards and is powered by a non-removable 3,020 mAh battery. The Huawei Honor Holly 4 is presently only available in India and sells for €155. The device will ship globally in coming months.